Most of us heard about it, know a thing or two, but the business of influencer marketing goes far and deep into what Sir Arthur Conan Doyle once said, "What you do in this world is a matter of no consequence. The question is what can you make people believe you have done." Influencer Marketing is becoming a staple in every digital marketing plan of any brand nowadays. How the business evolves from utilizing a brand ambassador to represent a product to mobilizing hundreds of micro-influencers to create a buzz and brand uplift, it envolves from luxury into a primary of every digital marketer's portfolio. However we describe it, at the heart of it - is making people believe in what you are doing thru a third-party perspective. And with USD 5,000,000,000 in its market size, Influence Marketing is something you want to have a serious talk with. What should I do to get on the hype? I'm glad you asked. Come and see us on the 23th of March 2019. 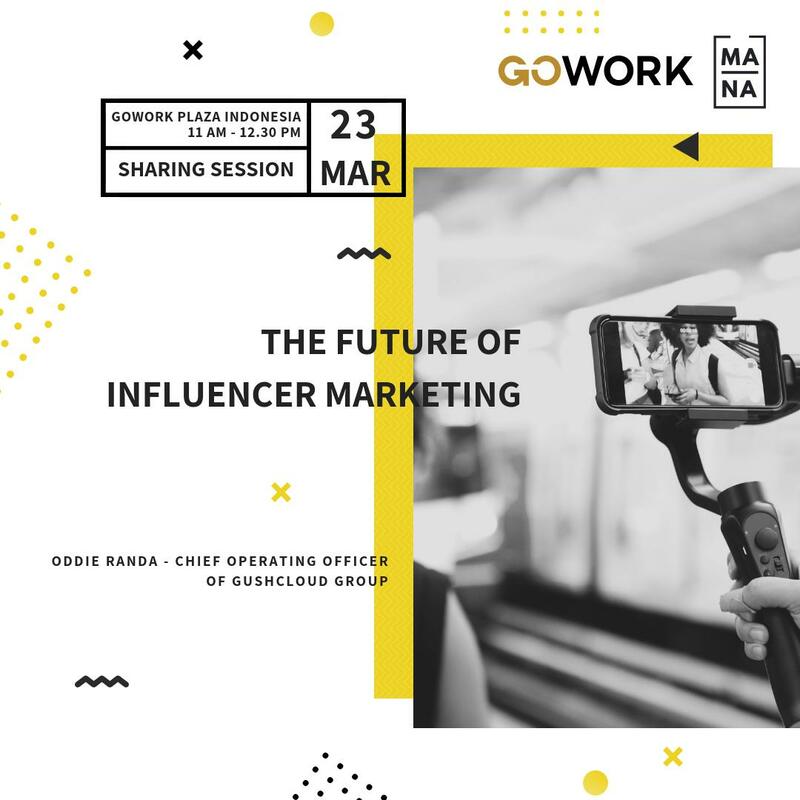 With 6 years career in the influencer marketing industry, Oddie started Gushcloud Indonesia's office (now the biggest influencer marketing company in Indonesia) from the era of skepticism towards "twitter buzzer" unto what can be called "The Golden Age of Influencer Marketing". He doesn't just KNOW about influencer marketing, he's livin' it.